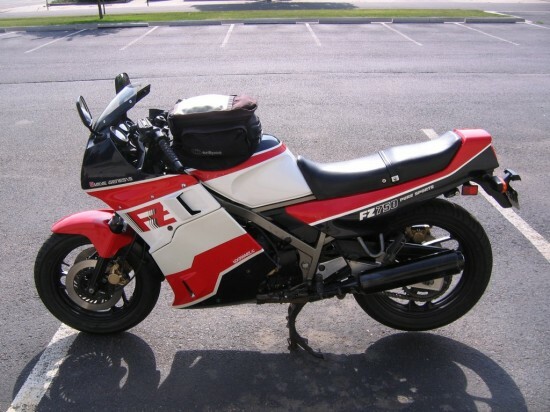 When Yamaha launched the FZ750 in the latter half of the 1980s, they released a bike that was as cutting edge and risky as it was fast. Let’s start with the cutting edge part: A very narrow in-line four cylinder format was laid down at a radical angle to put more weight on the front tire. The alternator was moved above the 6-speed transmission. The cylinder head held an amazing 20 valves, or five valves per cylinder (three intake, two exhaust). Named Genesis, the motor made record levels of horsepower in the day (110 at over 10,000 RPM). 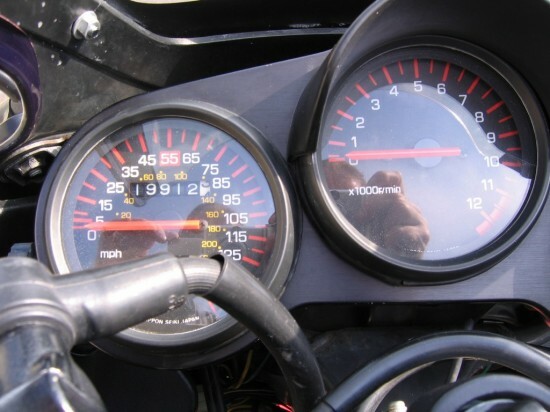 1986 Yamaha FZ750 in very nice original condition with just over 20k miles. The bike starts runs and rides very well and has been adult owned. This spring the bike had a full tune-up including, spark plugs, fuel filter, air filter, oil & filter and carb sync. There is less than 200 miles on the Bridgestone BT45 tires and new brake pads front and rear. Last fall the clutch master and slave cylinders were rebuilt and new fork seals installed. Includes original front turn signals, tank bag pictured, original owner’s manual and factory service manual. In 1986 Eddie Lawson won the Daytona 200 on a FZ750 at over 160 mph so it’s a fast bike for its day and still has plenty of power to run with modern bikes in the canyons while being comfortable enough for touring. The bike draws much attention and comments but it’s not getting ridden due to other commitments. 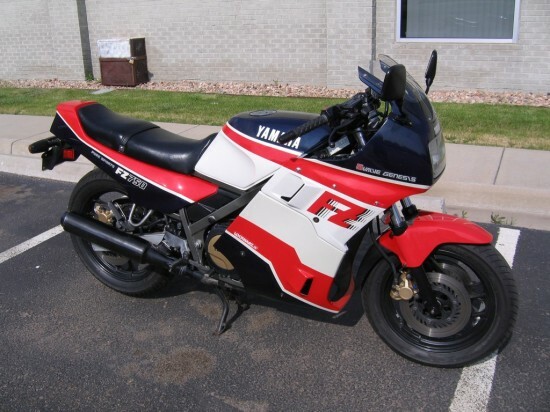 This has become a very rare bike and was the beginning of Yamaha’s race focused models. The FZ was a revelation when it was released, and was an effective weapon on the racetrack. Testers of the day found it to be a bit high-strung, and more suited to the track than the street. Ironically, yesterday’s missle has become today’s sport touring bike – as evidenced by the current owner. Longevity is good on these models, and the design has held up well; this concept grew into the awesome 5-valve FZR1000 literbike. While I agree with the seller that this bike won some races in its day, one has to wonder about the rarity and value of the bike. These were, after all, mass produced motorcycles from Japan. They are not limited in numbers, and there is no “special” FZ750 model that is worth more than the others. What is special is the bike itself – what it stood for then (and today) – and the fact that it is still a very capable sportbike. This particular model is availalbe now via auction. From the pictures it appears to be very presentable, and the color-matched lowers are a nice addition. Prices are pretty low by collectable standards, making this a nice addition to any collection. With an opening ask of $2k, this is your chance to check out a milestone bike from Yamaha and have some riding fun while doing so. To learn more, click the link and jump over to the auction. Good Luck!